Old World Cross Color accent cross tattoo. Winged Vision Black and grey tattoo of a winged cross with woman's eyes. Rosary Black and grey tattoo of a cross bracelet tattoo. Two Promises Black and grey tattoo of crosses and the peace dove. 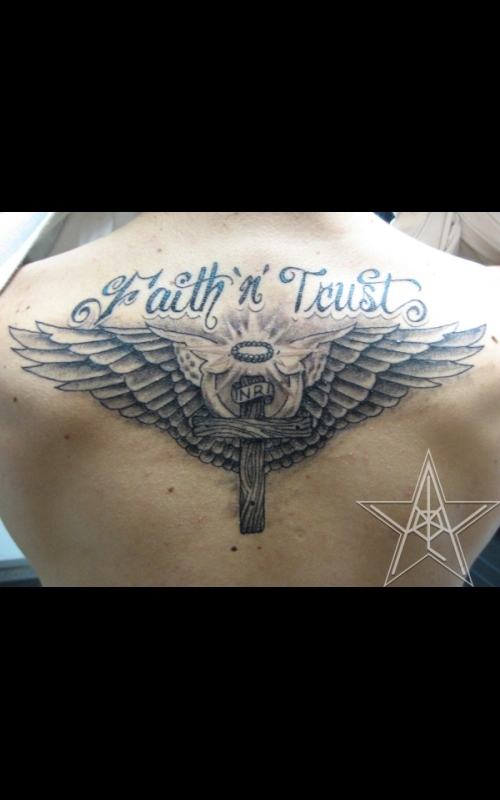 Flying Holiness Black and grey tattoo of a winged cross. 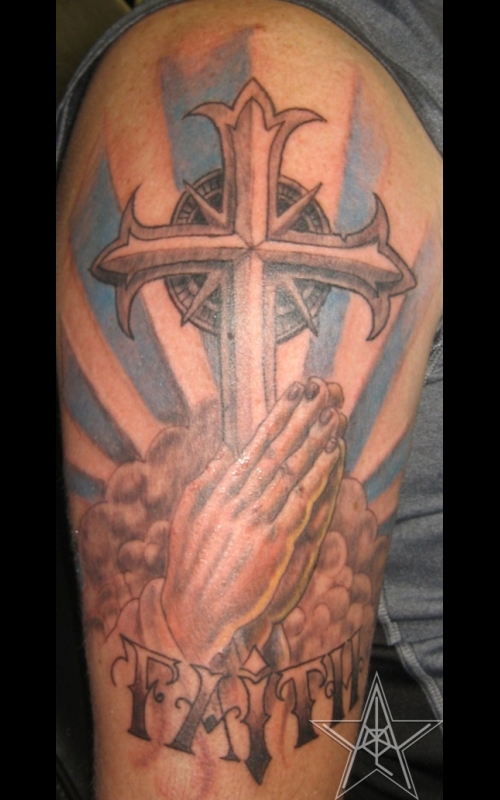 Salvation's Hope Color accent cross tattoo. 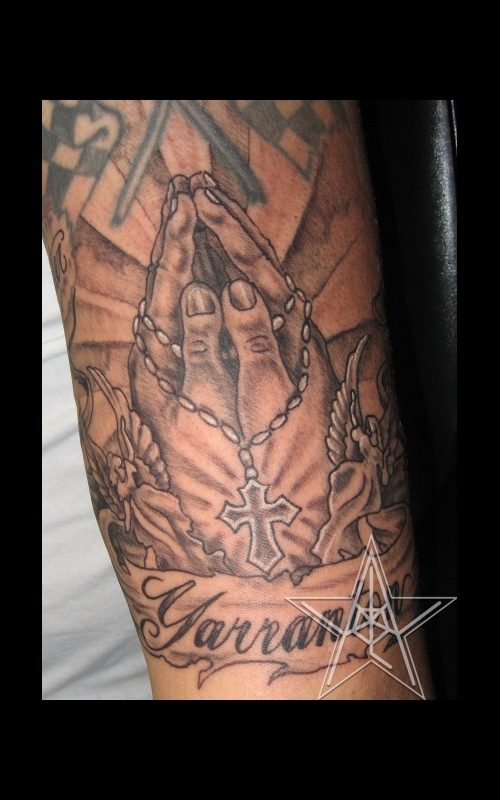 Contemplation Black and grey tattoo of praying hands and ribbon. Knotted Cross Black and grey tattoo of a knotted tribal cross. 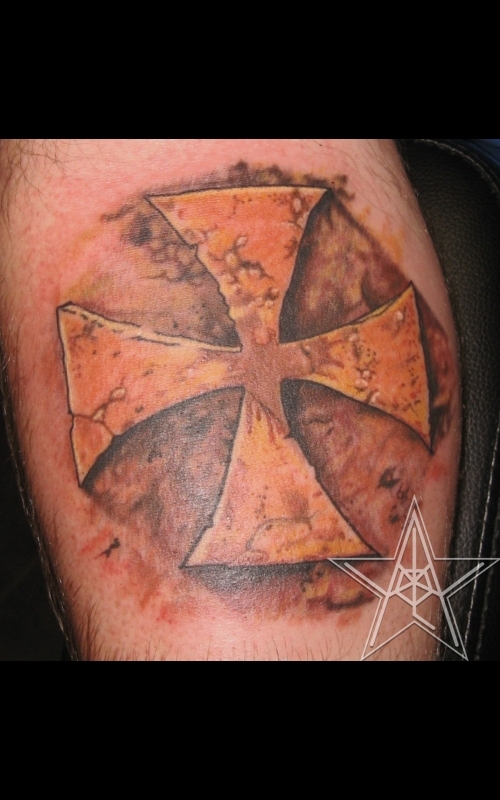 Stone Iron Cross Color tattoo of a stone Templar cross. 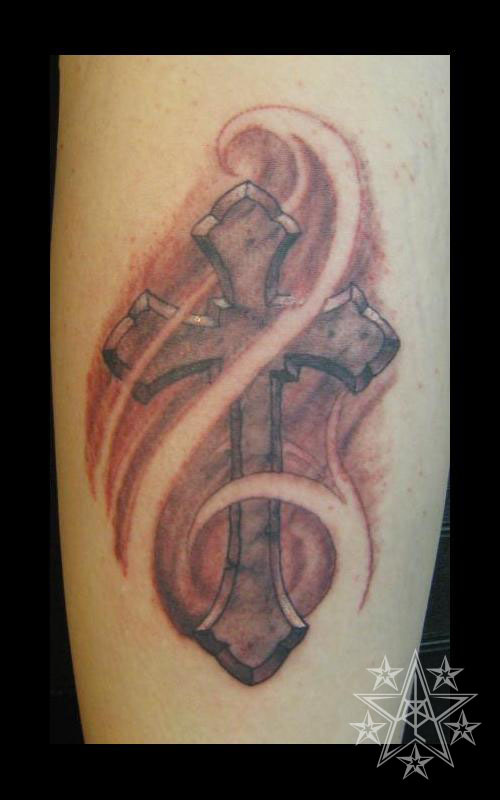 Memories Black and grey tattoo of a memorial cross. 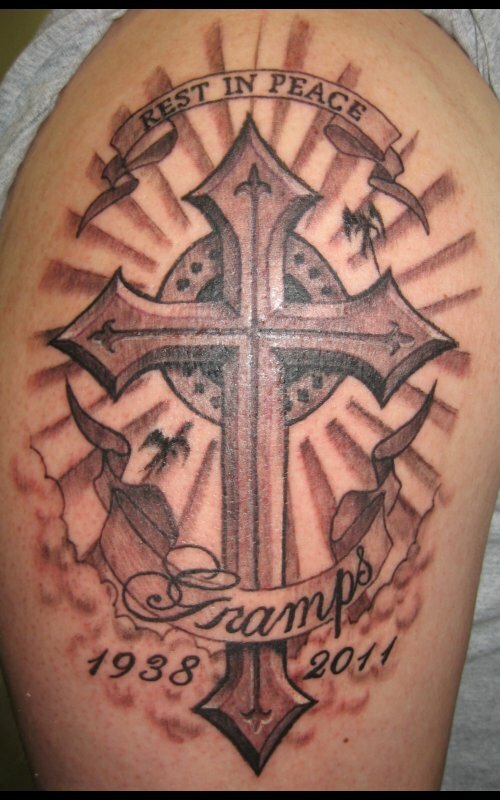 The Departed Cross memorial tattoo. 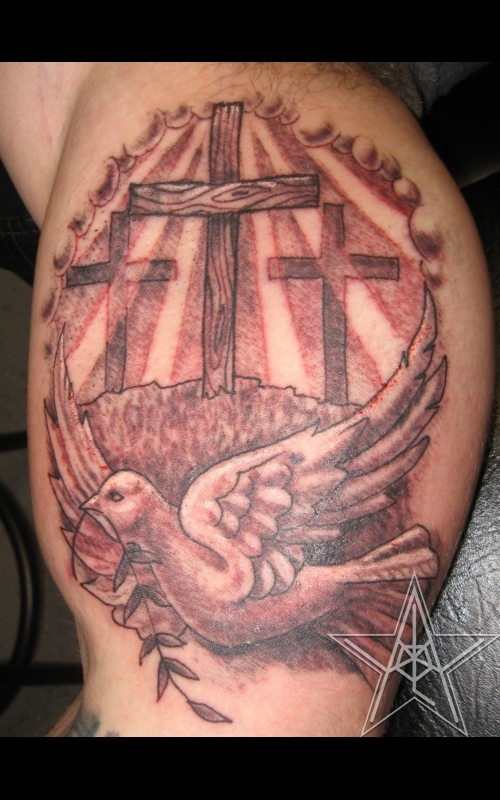 Modern Pac 2Pac cross tattoo with smoke. 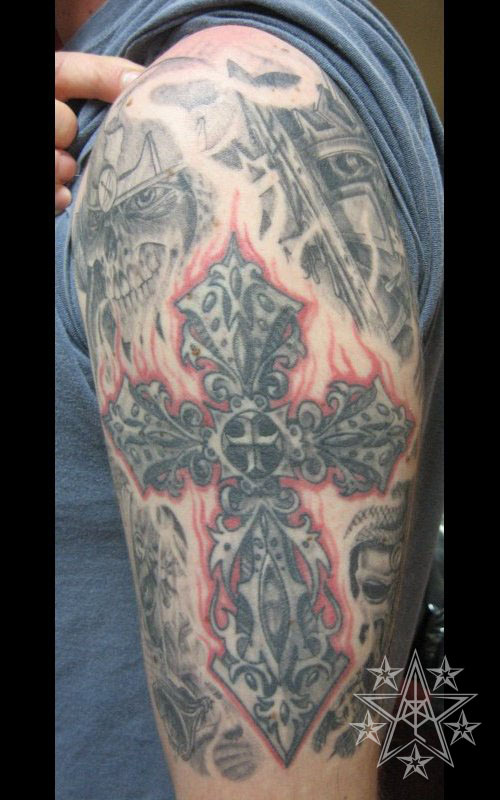 Cross tattoos by Ray Reasoner Jr.